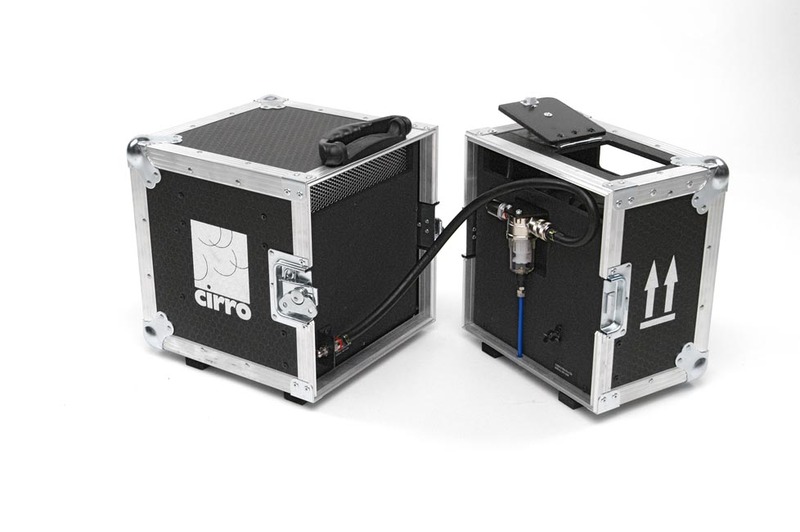 The Cirro Micro Mist from Cirrolite is a studio quality mist generator that produces airborne particles that mean that your special effect lighting can be clearly seen. You can use the Cirro Micro Mist in any size of film or tv studio or location space. 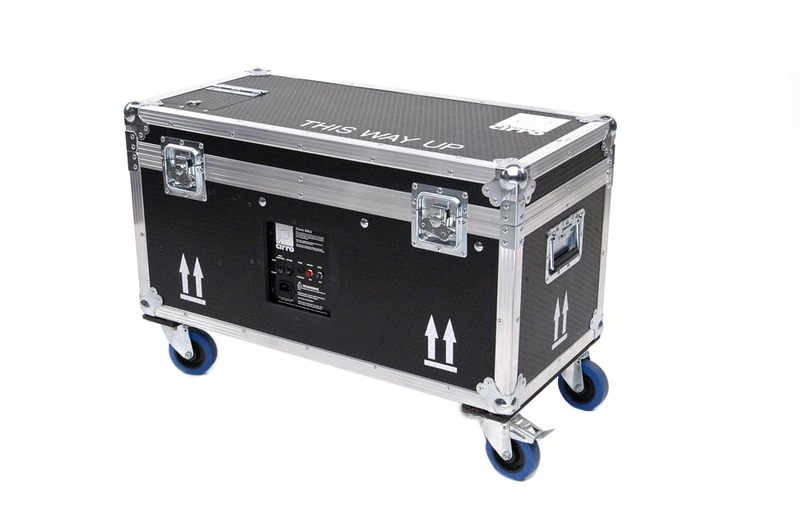 It’s a totally self-contained unit, that runs off mains power and forces water droplets under pressure through a small quantity of pharmaceutical grade mineral oil to produce a fine mist that defines the light beam. The Cirro Micro Mist uses only 100ml of oil for every 4 hours of operation. The mist produced is fine and softens the edges of a light beam. 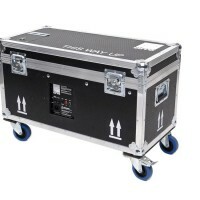 Cirrolite developed the Cirro Micro Mist from the established Cirrus generator which has been widely used on film, tv and promotional shoots for many years. The unit is COSHH tested, and the amount of oil released into the atmosphere is well below the level specified by Health and Safety legislation making it suitable for use is any studio or inside location set up. Quick bit of maths please: required Please check your adding up. Total of 9 + 7 please. Quick bit of maths please: required Please check your adding up. Total of 10 + 7 please. 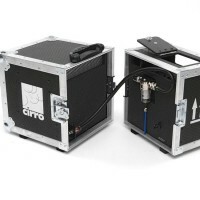 thanks for forwarding on information about the Cirro Micro Mist.